Extraordinary design and aged gold tone make Lauren ring a perfect accessory for vintage style fans. 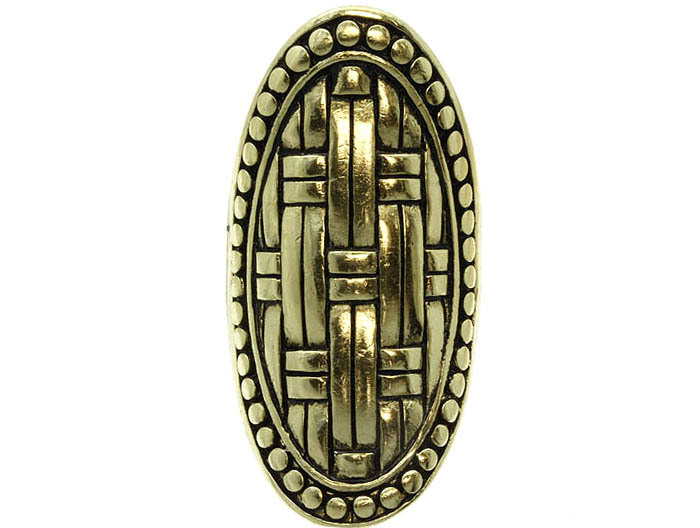 The ring features oval shape with the wicker pattern on the surface, gold metal dots along the edge. Buy this gorgeous piece of fashion jewellery online here today.